What does the Professional Edition of TVPaint Animation have that the Standard Edition doesn't ? ● The Professional edition works in 32 and 64 bit platform (only 32 bit for Standard edition). A 32-bit software has a limited access to the memory. Only a 64-bit software will allow you to make 4k projects. ● Load multiple soundtracks. Standard allows only one sound track. ● Global sounds can be applied in the main Project view, which can then span over multiple Clips. This is only a partial list of the features that can only be found in the Professional Edition! Compare both editions thanks to the comparison table. What are TVPaint Animation's minimum recommended requirements ? The performance of TVPaint Animation is only dependent on speed and amount of available RAM, hard drive speeds, and number and speed of processor cores. There is no need to invest in an expensive video card to make full use of TVPaint Animation. Will an update wreck my TVPaint Animation settings? Is there some way I can back up my settings ? Although it is highly unlikely that updates will affect your settings, it's always good to err on the side of caution. • Windows: open "Documents and Settings" => "User name" => "Application Data" (or "AppData" on Vista and 7) => "TVPaint Animation 10 Pro" and copy the folder "Default". • Mac: open the "Library" => "tvp animation 10 pro" => and copy the folder "Default". Be careful : with Lion & Mountain Lion, Library is hidden : you must use the menu "Go to" in the Finder, then press [Alt] on your keyboard to display the Library. For Maverick users : Library is accessible from your user's folder (or you can use the trick above). • Ubuntu : open the folder "Documents" hit [ctrl + H] in order to display the hidden folders. Double click on the folder ".tvp", then "TVPaint Animation 10 Pro" and copy the folder "Default"
You can simply overwrite those "Default Settings" with any backups you've saved. I've received my software, but I don't have a DVD player to install it. What can I do ? Don't panic ! You can download and install your software thanks to your activation codes (lock code / unlock code). Please contact us and send us your names, invoice number and your dongle number. My Mirage license doesn't work anymore and stays in demo mode. What can I do ? Present day Mac technology didn't exist in 2003, back when Mirage was developed. Mirage is not compatible with newer Intel Macs and we cannot do anything about it since the architecture changed so much. I lost my Mirage codes, can you provide them again ? We are sorry, we are not able to provide that info any more. I lost my CD to install Mirage / Aura. Can you provide me with another CD ? We are sorry, but we don't have the CD or installers of those old versions. I lost my CD to install TVPaint Animation 8/9/10/11. Can you provide me with another one ? Yes, but you will have to pay the shipping costs, depending on the place you live. However, you can also just re-download the installer on this webpage. Why doesn't TVPaint Animation have vector tools ? TVPaint Animation is not a vector-based medium that relies on shapes with fiddly bezier handles, but rather a pixel-based medium. Although vector-based mediums allow for 'shape tweening' to create smooth animations quickly, the pixel-based mediums don't take a performance hit when there are lots of squiggly moving details and flying bits of debris being animated. Pixel-based mediums also allow for a wider variety of drawing styles than vector-based mediums. When you installed, you probably activated the option to installed the TVPaint Animation plugins for interfacing with special hardware capture cards, and you don't have those cards installed on your workstation. Just uninstall and re-install TVPaint Animation and make sure that you haven't opted to install plugins for hardware you don't have ! Why can't I chose the color mode (CMYB, RGB etc...)? Color modes are another issue related to illustrations that have to be printed on printers with limitations on the colors they can reproduce with pigments and paper. TVPaint Animation is primarily designed to deal with video footage and animations, where such concerns are all but non-existent. 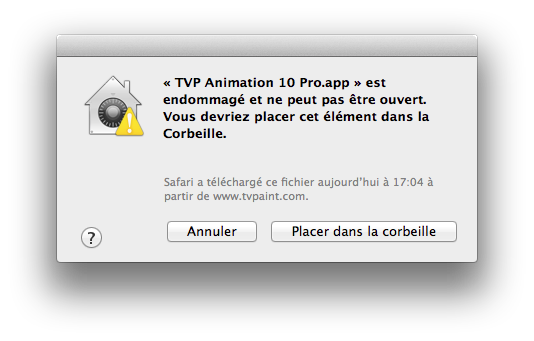 My MacOSX 10.8 / 10.9 says: "TVPaint Animation.app is damaged and can’t be opened.". What can I do? By default, this operating system blocks the installation of software that are not coming from the Apple Store. 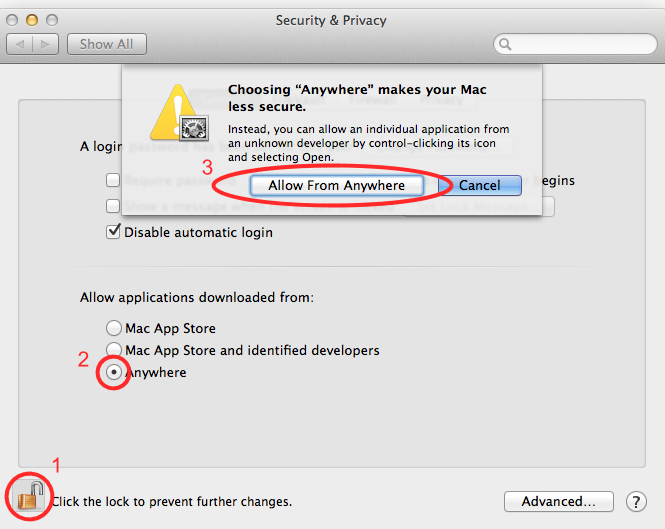 To fix this problem, please open your "System Preferences" and click on the icon "Security and Privacy". Then you should be able to install properly TVPaint Animation. If the problem persists, please contact us. Why can't I choose the DPI resolution with TVPaint Animation ? DPI only matters when you're printing things out. DPIs are used to indicate how dense the image resolution will be when you will print your illustration. The resolution is measured in Dots Per Inch, and the higher the DPI rating, the finer the detail the printer will attempt to print.